July | 2017 | Nicholas Hoffman & Co. Becoming a millionaire isn’t something you learn in school, but it’s a little simpler than many realize when time is on your side. All it takes is investing $94/month from age 20 to age 65. That’s just $3 a day. To bring it to life a bit – put your Starbucks coffee money into the stock market each day and you’ll be a millionaire. Nix that blueberry scone and you might reach 2 million – all before lunchtime! The most important component of this millionaire equation is starting to invest early, which is why I ask you to send this to your kids/grandkids (so they can pay for your 5-star nursing home one day). I’m careful to use the word investing rather than saving because simply saving $3 a day will not get you the big bucks. It must be put in the stock market and earn (an optimistic) 10% for this example. 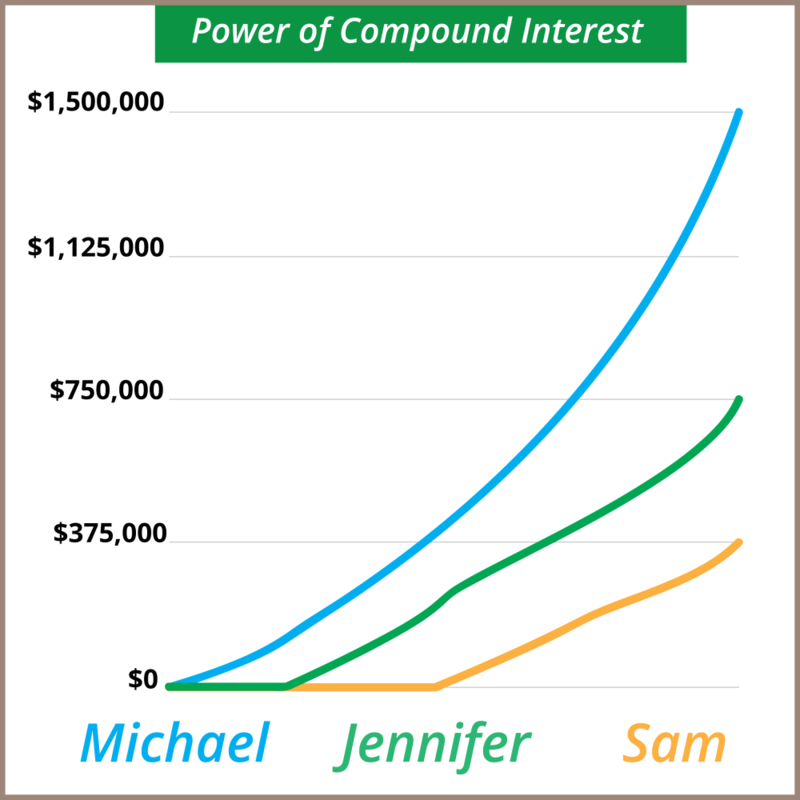 Saving is difficult for millenials, but I can tell you from experience that what motivates us stubborn youngsters to stay on track is seeing these $3 seeds growing zeroes over time. The most common speed bump we find for young people is not a lack of interest in investing, but simply not knowing how and where to get started. They are put off by the idea of high minimum account balance requirements, prohibitive commissions to trade, and a huge selection of stocks that generally lead to making no decision. Luckily there are hundreds of apps to start investing at low to zero costs. One app that has gained major popularity is Acorns, which taps your debit and credit cards, rounds up purchases to the nearest dollar and invests that “spare change” into a portfolio based on your investment goals. This eliminates a lot of the decision-making paralysis that millennials struggle with. Acorns’ CEO, Walter Cruttenden designed the app on the premise that “it’s easier to part with $1 fifty times than $50 once”. The app is free for college students and costs $1/month thereafter. Launching just 2 years ago, Acorns has already opened 750,000 accounts for users! Stash is a similar app that focuses on ETFs and tries to mimic the human interaction you’d get with a real advisor; it spells everything out in simple terms anyone can understand. For example, instead of investing in “PIMCO Enhanced Short Maturity Active Exchange Traded Fund” you’ll invest in what Stash has called “Park My Cash”. While these apps are great for getting started, it is important to contribute to a tax-advantaged retirement account once earning income. In the chart below, Michael saved $1,000 per month from the time he turned 25 until he turned 35. Then he stopped saving, but left his money in his investment account where it continued to accrue at a seven percent rate until he retired at age 65. Jennifer and Sam did the same, only they didn’t get started until they were 35 and 45, respectively. It shows just how meaningful it is to begin investing at a young age. 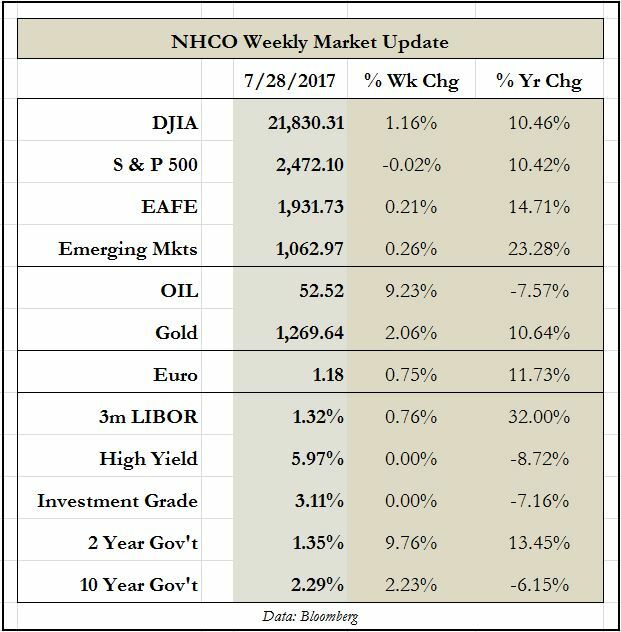 This entry was posted in The Weekly on July 31, 2017 by nhoffmanandco.